The full collection of news and updates about the work of Jason Ratliff. For the 88th Oscars Ceremony, I was commissioned by the Academy of Motion Picture Arts and Sciences to create a few unique Shadow pieces. It was quite flattering that they reached out to me and it was an honor to work with such talented people. Definitely a fun project to be involved with. In particular, I was commissioned to create a piece for each nominee in the VIsual Effects category: The Martian, Mad Max: Fury Road, Star Wars: The Force Awakens, The Revenant and Ex Machina. Pictured above are few of the outcomes. Fingers crossed, I get to do more work like this down the road. 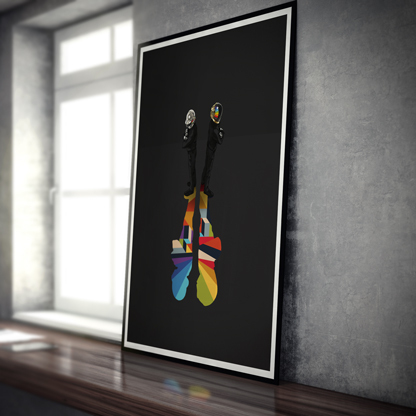 Happy to announce the release of the first piece in my Limited Editions series. From time to time I'll be posting extremely limited runs of new works. For each one, there will only be a single release, never to be reprinted. This first piece is an extension of my Super Shadow series published at the tail end of 2015. 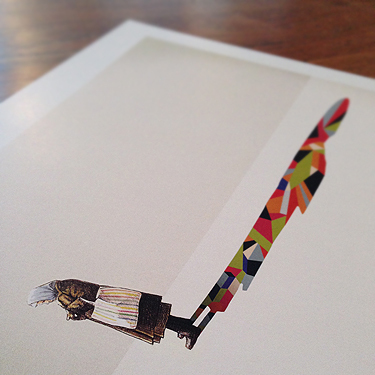 Printed on cotton, archival paper, the edition is limited to 150 hand-signed and numbered prints. Each piece will come embossed with my mark in the lower left hand corner and with a certificate of authenticity. If you're interested in collecting, you can purchase the print from the link below. The print measures 16 inches x 22 inches. Limit 5 per person/household. I'd like to start by saying thank you for the overwhelming response to my Walking Shadow series. It really has been flattering to hear from so many who have identified with the artwork. Since its release, there has been a growing number of you who have written, inquiring if I had any intentions to continue the series with pieces similar to my "Hero" and "Heroine" entries. Today I'm happy announce the release of a full series of new pieces in the same vein. 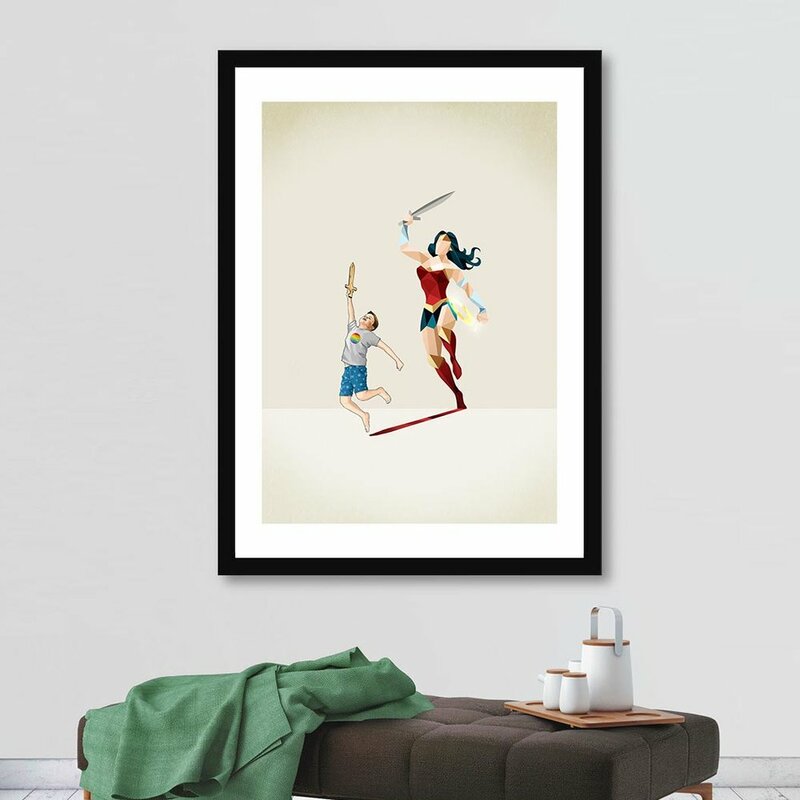 Titled "Super Shadows" and including 10 new pieces, the series will be exclusive to my friends at Curioos.com and are available now. Follow the link below to check 'em out. The Indy Film Fest and Lodge Design presented the fifth annual Bigger Picture Show this past spring. Presenting nearly 40 Indianapolis designers re-imagining their very favorite movie posters from every genre and generation. Every poster was up for sale, with all proceeds going to support the film festival. The film I was given to work with was 1931's Dracula. Check out the results. If you're interested in purchasing a print, t-shirt, phone case or a multitude of other products, follow the link below.